When shopping for replacement windows in Lombard, it might be hard to decide what your highest goal is. Price is always a concern. You want affordable windows and a fair price, for sure. You also want windows that are high quality, and perform well in changing weather conditions. You do not want to have to replace the windows in a few years. For many people, though, how the windows look in their home is, understandably, their primary concern. Selecting the most attractive windows for your home all begins with a visit to the Door Store showroom. There you can see the windows in person, compare the look and texture of wood, vinyl or fiberglass materials. You can look at stylistic additions such as sashes or beveled glass to see if they are right for you. The experts in the store can guide you to styles and brands you might not be familiar with. Only by visiting a quality showroom can you see a company full display of window options. There are many style choices for window replacement in Lombard. Double-hung windows are probably the most common and offer many great features, including a classic design and energy efficiency. On the other hand, casement windows offer full ventilation and wide, unobstructed views. Picture windows are great for extensive, sweeping views of a lake or field and excel at energy savings. 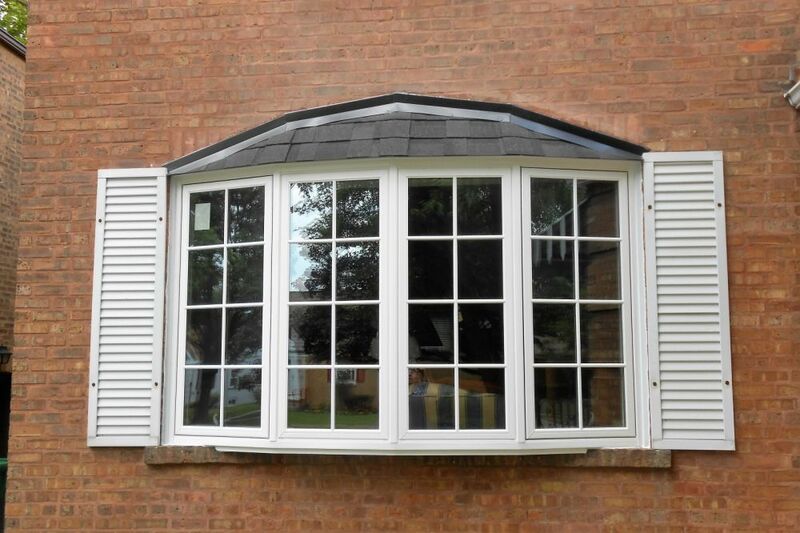 Bay and Bow windows extend out from the house and allow natural light to flood into the home. Specialty windows come in all shapes and sizes and are great choices to set off a special room. New windows come with many excellent upgrades over the old windows in your home. They will almost always be more efficient, function better, and provide comfort, safety and security. An added bonus is that replacement windows in Lombard will help make the overall appearance of your home look better.